You’re probably aware of this famous line from the Liam Neeson movie, Clash Of The Titans. And now Boardworks has released a Kraken of its very own. We say this as a matter of pride. The Boardworks Kraken is truly a big board, and it comes with big benefits as well. The 12-feet 6-inch body may produce a gasp when you first look at it. We even felt that it may not do much on the water owing to its size, but boy were we wrong. As soon as we stepped on the Kraken, we felt a change in our attitudes. It felt like a primal instinct that the top predators might feel: You are the master of all you survey; the alpha. This emotion is not baseless; the SUP is built and constructed to make you feel like a true king on the water. Kind of like the men among the boys. 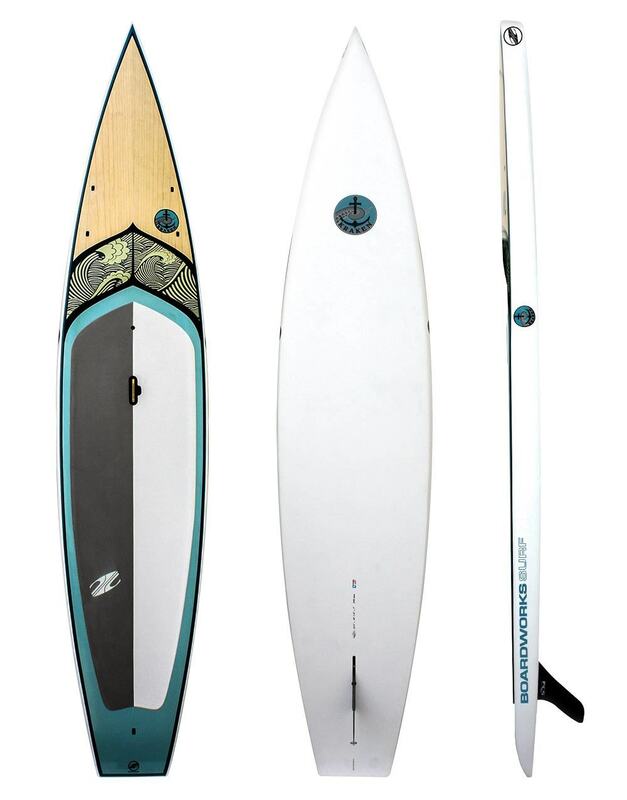 Before we get into the performance aspect of the board, we need to mention the exquisite design aesthetic of the SUP. It is indeed a beast and a beauty combined in one smooth stroke. Inspired by elements from the Pacific culture, the board’s nose has a natural wood finish that is eye pleasing. The nose then transitions into the body with beautifully rendered graphics of rising waves in black and white. Very chic. You will be sure to make a statement even before you step on the water. Check out the Kraken in action. If there is one board you want to have in different water conditions, it is the Kraken. 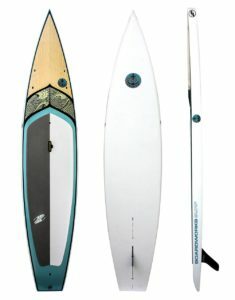 The SUP has been designed to handle flatwater, deep ocean, and choppy conditions with equal ease. The board’s length and width allows it to glide over obstacles while providing comfort and safety. The Kraken’s frame may give the impression that it is a slow mover on water; on the contrary, it moves like a speedy predator on a hunt. The reason: the SUP’s flat rocker. This makes it an excellent board for touring as well as recreational racing. The excellent design principles of the board are highlighted in its body. 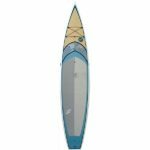 A slightly contoured hull provides easy movement for your feet and reduces the board’s center of gravity, resulting in a more aero-dynamic SUP. The Kraken is a complete performer on the water. There is stability, speed, and enhanced maneuverability. The fin has been fitted in an advance position compared to other boards. This allows for faster turns with added stability. 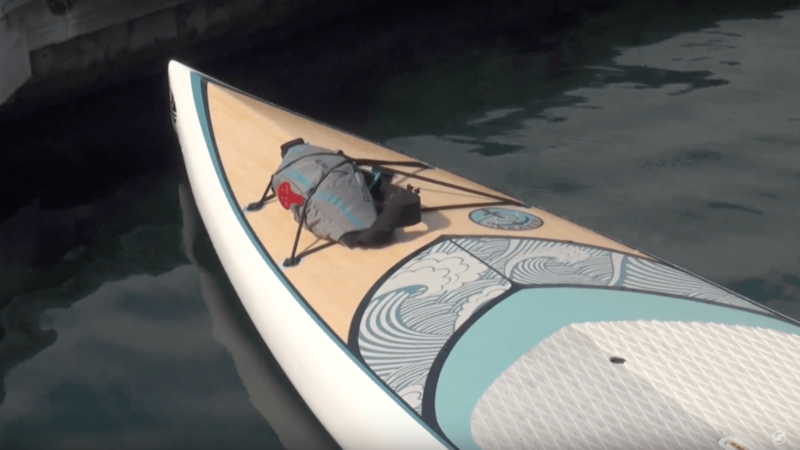 Regarding advanced features, the SUP is fitted with a vent plug that releases heat and pressure built up in the bard during warm conditions or high altitude. The Kraken is a board that you will find very hard to hate, or for that matter, find fault with. 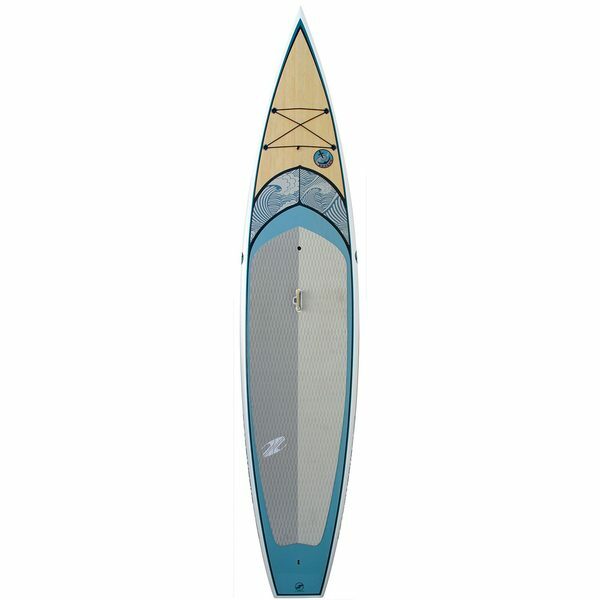 The SUP’s performance is top notch in a variety of conditions. It gets even better with the fact that anyone – from a beginner to an expert- can use the board. The Kraken’s outline has been shaped like an advanced racer, while its body provides safety. If we were you, we would buy the Kraken: a beauty and a beast rolled into one.